State Budget Detail: We have received the state aid figures for West Genesee and as we had hoped, we will be receiving enough state aid to balance our budget without having to make any personnel reductions related to the budget. Unfortunately, there was not enough money made available to add anything back into the budget, but I am pleased that our five-year financial plan is still on target. We do have some enrollment based decisions to make, but we have those decisions every year. Now it is time to finish our budget preparation and get things ready for budget vote day on May 20. Part of the budget that has not been detailed but will be interesting to see unfold, is a tax credit to homeowners where their local governments tax below the tax cap (our tax levy is projected to be below the tax cap for West Genesee). Another piece has to do with having to show additional savings over the next few years through sharing, consolidation, merging, or elimination of services. Right now we are sharing road salt and the ice rink at Shove Park with the Town of Camillus, and we are repairing school buses for the Solvay Central School District; these would be considered a consolidation of services. We will have to continue to find ways to consolidate, share, merge, or eliminate services in the future. You will be kept posted as we begin to think of other ideas that may have more of an impact on "the way we have always done things". 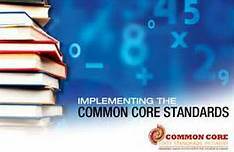 There is also some language included, but not detailed, about the impact of Common Core aligned state testing for students. The tests will not be given in grades K-2 (they never were so this is not as big a deal as it will be touted to be), and grades 3-8 tests cannot be used to determine placement for the next school year. Any organization that would EVER rely on one state test to make a decision about a student in ANY way is out of touch and off base in my view. Our children (mine included) are evaluated in multiple ways before making any determination about their progress. That will continue. State Assessments this Week: This week begins the English Language Arts (ELA) state testing window (Tuesday through Thursday) for grades 3-8. Because the state has screwed up the implementation of the Common Core Learning Standards this past year, people are as opinionated as last year about the relevance, fairness, and necessity of state testing. I was given about a nine page memo from the Commissioner about how I was supposed to "prepare" you for the testing window. I will save you the nine pages and tell you that the New York State assessments are one measure, and barely that, of a child's understanding of the new standards. I do think that our children are more prepared to take these assessments than they were last year. I also believe that students shouldn't try any harder or differently than they would on a normal school day. Each testing day is a regular student attendance day, and the tests last about 90 minutes a day for the three days. The math assessments are given in May. It is my recommendation that students take the assessments as they will be taking some type of test throughout their school career and into college or the workforce. Getting them used to a testing environment has value, and the results of these tests really have no impact on their placement or program. Recognition of Music Program: This is the ninth time West Genesee has received the Best Communities for Music Education Award from the National Association of Music Merchants (NAMM) Foundation, and the sixth consecutive year. This is a celebration of sustained success in our Fine Arts program. I would like to thank our teachers, parents, and of course our performers for continuing to keep the bar high and not settle for anything but the best! Honoring our Students: I would also like to congratulate the 146 students who were inducted into the National Honor Society last week. That is quite a number and represents well rounded students. Congratulations to their parents as well! Looking into the Non-Traditional: I have more to write concerning investigating our high school structure and finding ways to include non-traditional means to graduate, as well as the outcome of some meetings that I had with a couple of community organizations. However, I will save those topics for another blog this week when I can also share the exact fiscal summary of the New York State budget for West Genesee. If you had water in your basement over the weekend you are not alone. There was about three inches in ours, enough to ruin carpets, some toys, and some other furniture. By way of comparison, we had six and a half feet in the basement of our first house years ago. The cleanup was about the same. Family Time - I hope that each of you enjoyed the weekend. My weekend was jammed with a lot of fun things. First, our oldest son came home for spring break and that was a treat in itself. We haven't seen him since December, and we probably only connect once or twice a week by text; so to have him home was great. We got a chance as a family to shop at the mall, see the new Muppet movie (we usually go to see movies where things blow up and people drive fast, but the Muppets are the Muppets), and finished with a great breakfast at a diner (family favorites are the The Gem, Stella's, and Nesticos Too...so we rotate). Our washing machine is probably glad to see him head back to school, but the rest of us will miss him until we see him again in May. Syracuse Half Marathon - This event was interesting. It started at 8:00 a.m. on Sunday at the OnCenter Downtown. The temperature was 10 degrees and it was snowing pretty hard. Throughout the course we ran in snow, rain, sun, and ice through icy streets, salted streets, dry streets, and one big ice puddle right by the back entrance to the Creekwalk; that was a real wake up call! This continues to be my favorite long race in the metro Syracuse area. A big thank you to all of the volunteers, emergency personnel, and organizers; you know how to do it right! I'd also like to thank the random person who called me out by name to cheer me on (no idea who he was)! National Honor Society - Tonight is our National Honor Society induction ceremony, and I am looking forward to congratulating students and their parents for their hard work and dedication. Field Trip to Tech Valley High School - This week I am taking a group to Albany to visit the Tech Valley High School. This school uses a concept called project-based learning and technology to complete high school graduation requirements. This concept is similar to many workplaces where there are fewer walls and people from all departments and different job titles work together to achieve common goals. As we begin to respond to the economy, college and career ready demands, new technology, and keeping students interested, there are many concepts that we need to research as we begin to create our own "High School 2.0". Stay tuned for my review of Tech Valley High School, as well as concepts for our students that we may consider as we look to the future. Budget Update - This week we will be looking for some final budget numbers from the state so we can wrap up our budget process and really concentrate on getting things ready for the actual budget vote on May 20. I really don't have more to report in this department as our elected officials need to complete their work. Enjoy the week as temperatures are looking better by Friday! 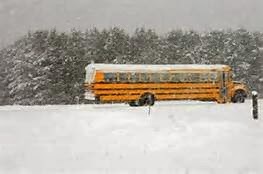 What's Up with the Snow Days: Probably the most frequently asked question I have received this week is, "What happens if we have another snow day?" Right now IF we have to have another emergency closing day, then Thursday, April 17 will become a regular day of school (right now April 17 is scheduled as the first day of spring break.) It is what it is. This winter has been brutal. Hopefully, we have seen the last of it. So far I have a broken snow blower, a small water spot on a ceiling, and who knows how much yard cleanup. No bueno. Budget Update: We are still in a budget holding pattern. One thing that I always tell people is that I trust them until they give me a reason not to, and that they should trust me until I give them a reason not to. This has worked very well for many years. The senate released their budget adjustments late last week, and many superintendents expressed outrage in our elected officials. I have a very good working relationship with our elected officials, and to date, NONE of them have misrepresented themselves or told me things that have not ended up happening. I did place some calls on Friday to get information about the changes being proposed on the state budget from those who helped make the decisions. There are four possible areas for schools to obtain additional funding from the state: pre-kindergarten, full-day kindergarten, foundation aid, and Gap Elimination Adjustment. We are not in a position to move forward with a pre-kindergarten program at this point, so that leaves three possible sources of income. Because of our five year budget plan (we are in year three), we need about 33% more from New York State to balance our budget to keep from making approximately $825,000 in budget reductions. Most other schools need a 100% or more increase in state funding to do the same thing. After my conversations on Friday, I DO feel cautiously optimistic that we can hit our 33% mark. I DO trust the information I received and the people I received the information from. In the next two weeks we will know a lot more and if something goes in a different direction, I will let you know. The pressure that I am receiving comes from Charter Schools and other schools that are going to come up very short. They want us to join them in flooding Albany with calls and letters or assemblies to try to strong arm them into giving more money to education. I am trying to balance this pressure from my colleagues with knowing that our elected officials are probably going to come up with what we need for West Genesee. I do not know if irritating those officials would damage the relationships that I have and therefore put the district in jeopardy of losing future funding. Tough call. I am supportive of public school education and opportunities for students, but at the same time as a chief executive, I have to do what is best for US first. No matter what happens this budget year, the writing is on the wall that we are going to have to look at ways to consolidate services, expand partnerships with other schools, and look at other uncomfortable ways to cut costs. The current New York State model is to reward those who spend less. That is the Bottom line. There are only a few ways to do that. The next five to ten years should be really interesting in New York State. As always, we will stay out ahead of these changes so we can make things work best for our community and our students. Looks like some better weather is in store for this week so enjoy it! Weekend Events: Another weekend that felt more like spring, and I really enjoyed seeing many members of our school community at the Tipperary Hill Shamrock Run on Saturday. Almost 4,000 participated in the annual run on Tipperary Hill and by all accounts, everyone had a blast. I keep trying to improve my running time, but I think everyone else is doing the same! Our very own senior, Jack Erhard, finished 29th. He was probably home taking a nap by the time I crossed the finish line. A big thank you to our Save Modified Sports community group for holding an exciting 3 on 3 tournament on Saturday. It is always great to have events at school, and the Save Modified Sports group holds events that are well organized, timely, and downright fun. Budget Presented: Last week I had an opportunity to present the budget for next year and I really appreciate all of you who attended. If you were not able to attend, we have a great web page that will give you all of the information to keep you informed as we head towards budget vote day on May 20. Just click here. The budget was presented with wishful thinking that we will receive an additional $825,000 back from New York State before April 1, when the state budget is scheduled to be completed. If we DO NOT receive that additional money, we will need to make $825,000 in budget reductions in order to balance the budget. I will certainly keep you posted if that becomes the case. Incredible Music: We had two incredible concerts last week. 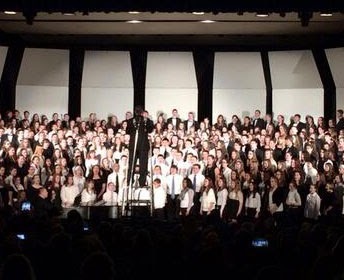 One featured all of our chorus and chorale students in grades 7-12, and the other concert was our annual Festival of Bands. Hundreds of our students were on stage performing perfectly. If you closed your eyes, you would have thought you were at paid concerts in the big city. Simply amazing. 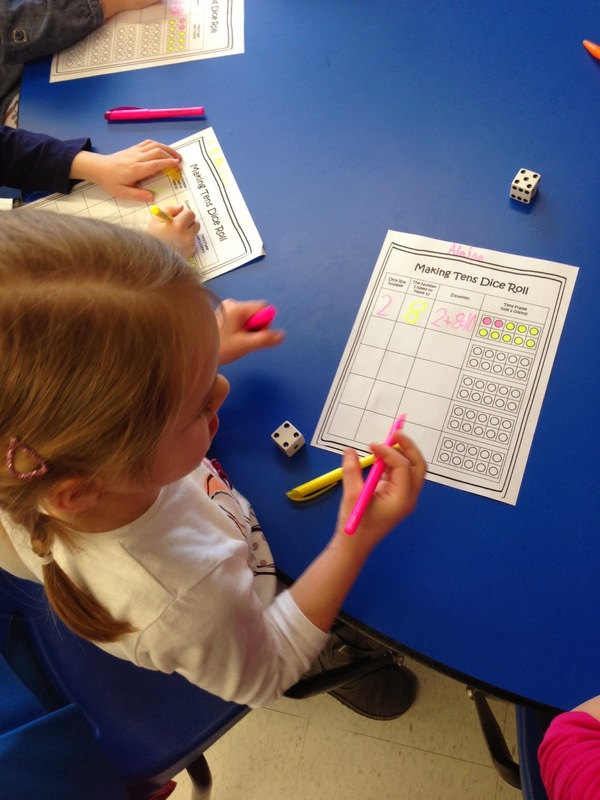 Update on Kindergarten: If you are wondering if our full-day kindergarten experience is working, just take a look at this picture that I took while visiting a kindergarten classroom last week. Look closely at her understanding of math concepts AND her handwriting. If I took a picture of the entire class, you would have seen the same thing. I am excited to see what these students will be doing in their senior year! Every Move you Make: I always tell people that in my role as superintendent it is safe to assume that everyone is watching my every move; including the students. Being a role model becomes second nature pretty quick in my business. The same goes for people we see on television on a regular basis. Of course, we all have a misstep every now and then. 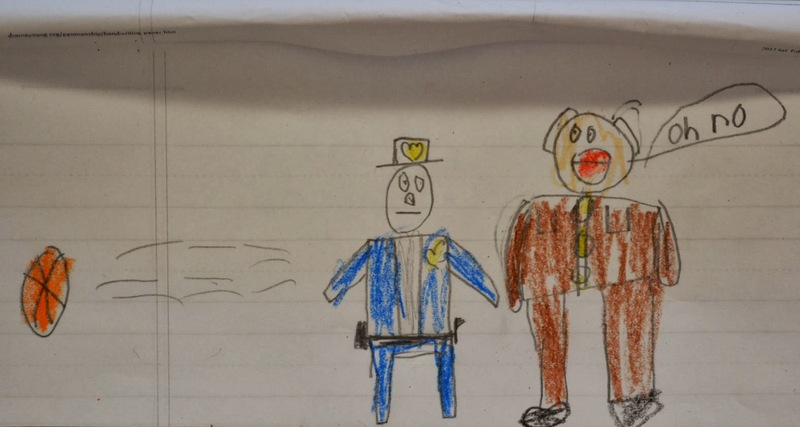 This picture comes from a youngster who had to answer a question about what he did over February break. He explained that he watched the Duke vs. Syracuse game at his cousin's house. The picture is Syracuse coach Jim Boeheim being escorted out of the arena by the police. I think even coach would get a chuckle! College Entrance Tests: You will see some press over changes to the SAT that are scheduled to take effect in 2016. Without getting into too much detail, the SAT is making changes to become more like the ACT. Most colleges accept EITHER the SAT or the ACT for entrance consideration. 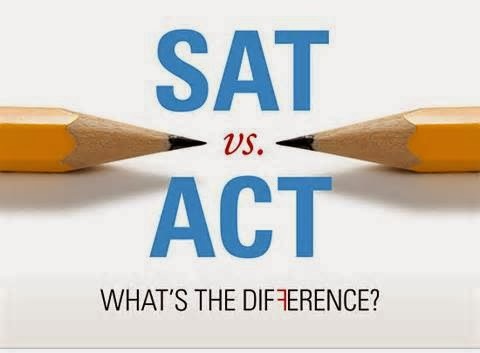 The ACT has gained market share in recent years over the SAT. As to whether the SAT will be "easier" than it is today, I am always very careful to exercise caution when responding to this question. Each of us is wired differently. What some people find easy in life, others find incredibly challenging. I would say that the SAT is going to be "different" than it is today. A quick Google search with the keywords "SAT changes" will get you additional detailed information. Forum for Funding Reform: “Our Kids, Our Schools…Our Future!” Sponsored by Central New York School Boards Association and OCM BOCES will be held this Wednesday, March 12, from 6:30-8:30 p.m. at the West Genesee High School Auditorium. At this forum, Dr. Rick Timbs will discuss what is at stake if state leaders do not eradicate the Gap Elimination Adjustment (GEA) and provide adequate, equitable and sustainable funding for our schools. I can't believe that I am still thinking about the possibility of poor weather, but it looks like Wednesday and Thursday could be tricky. It will be nice to put thoughts of poor weather in my rear view mirror. How Many People Did You Perform in Front of Today? The Effects of Winter Weather: I am starting to think that there is a hidden camera someplace just waiting for me to go bonkers because of this snow and cold weather. The video would go viral online and everyone would have a chuckle. I have spent my ENTIRE life in New York State, between Buffalo, the southern tier, and Syracuse and I am telling you that this winter is on the verge of making me crack and there is no way to get away from it. I was supposed to be in southern California this past weekend for a conference, but I had to cancel. I would have flown into mudslides and flooding and then would have been delayed getting back here by snow and ice. Good times. Making memories. Budget Time: We did get some time last week to complete the first draft of the budget. Our tax levy will be below the tax cap for West Genesee. We are trying to keep all of our programs intact. In order to do so, the legislature needs to restore about $825,000 from a state budget line item called the "Gap Elimination Adjustment" or GEA. The $825,000 represents about 33% of what the state has held back from West Genesee to balance their own budget over the past few years. We should hopefully know by the end of March if we are going to get some of the GEA funds back. If we are not able to, we will have to make some challenging budget reduction decisions. 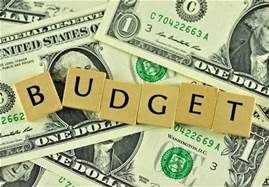 The first presentation of the budget is this Wednesday at around 7:00 p.m. in our high school library. You are welcome to attend and see how we have budgeted and programmed for next year. Our Students Perform: Because our school and programs have been so successful for so long, I think we sometimes take some things for granted. I was wound up this weekend as the girls basketball team played for the sectional title, the boys hockey team played a regional game for the state championship, and a runner and a swimmer were trying to break state and school records. 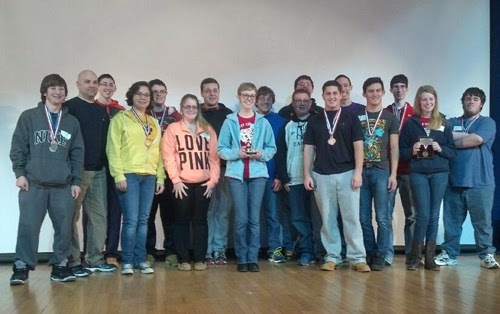 Our Academic Decathlon members were also in competition. I was focused on each team or individual finding success without thinking about the bigger picture. I was worried all week about getting extra bleachers, shuttling for overflow parking, making sure sound systems would reach large groups, that we had adequate police and ambulance support, how to handle turning people away from facilities due to sellouts, etc… BAM! It hit me right in the face. Win or lose, how many people do our students perform in front of? When I was in high school I played varsity golf and I had a part time job as a security guard at the K-Mart when it was still in Western Lights Plaza. On any given day I would perform my job as a golfer or security guard in front of a couple dozen people max. The largest crowd I had been in front of before I became a superintendent was a full Civic Center for my high school graduation. That holds 2,117, and I was on stage for about 40 seconds to get my diploma. The Marching Band performs at the Carrier Dome in front of over 25,000 people. All of our performing arts students get a chance to perform in front of a packed Civic Center for Kaleidoscope. The bands and ensembles are invited to perform in many different venues each year with crowds ranging from a few hundred to over 2,500. 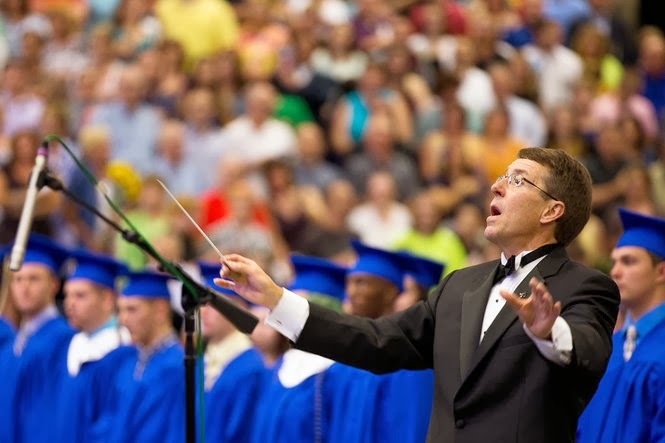 Every graduate gets to cross the stage in front of between 4,000 and 5,000 people, with several graduates performing speeches or musical arrangements. In sports, full house for football can get us up over 2,000 fans. Our gym holds well over 1,000 and our basketball teams have played in front of nearly full houses. Heck, when I watched the boys play CNS earlier this year at CNS they had to evacuate over 1,500 of us due to a faulty sensor. A boys or girls lacrosse sectional championship game can draw close to 2,000 fans. Shove Park was a "sell out" on Saturday night with just over 1,000 people. A local community college averages 223 fans for a mens home basketball game. National recording artist Carley Rae Jepsen (Call Me Maybe) drew 853 people to her concert at the New York State Fair until she nearly gave tickets away and still couldn't get over the 2,000 mark. The next time I think about a tough win or loss, I am going to remind myself of how many people they performed in front of and win or lose, how much they learned about composure, self confidence, expectation, and being role models. Much more than I had learned at their age, I can tell you that! If I was to update you about all of the sports that have taken place over the past week, this blog would be five paragraphs longer! Please check our website or Facebook page for the most up to date information and celebrations. If it gets over 40 degrees between now and next Sunday, I might blog again just to celebrate that fact. If not, you will hear from me in a week!